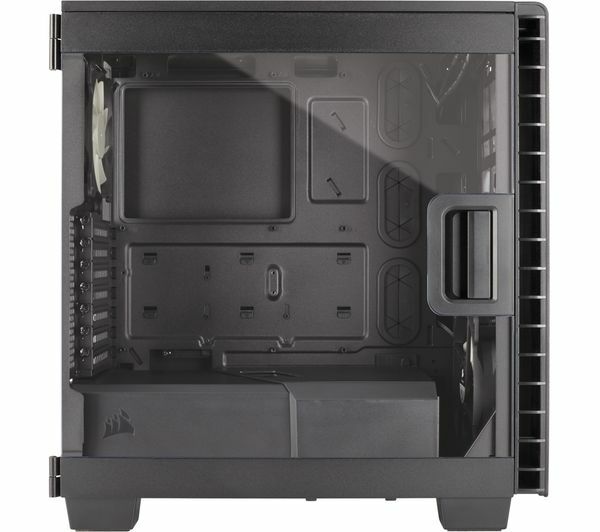 The Corsair Carbide Clear 400 C ATX Mid-Tower PC Case is engineered for performance. 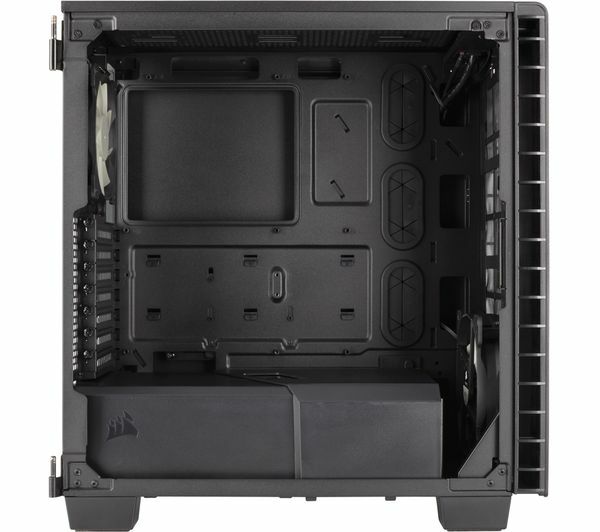 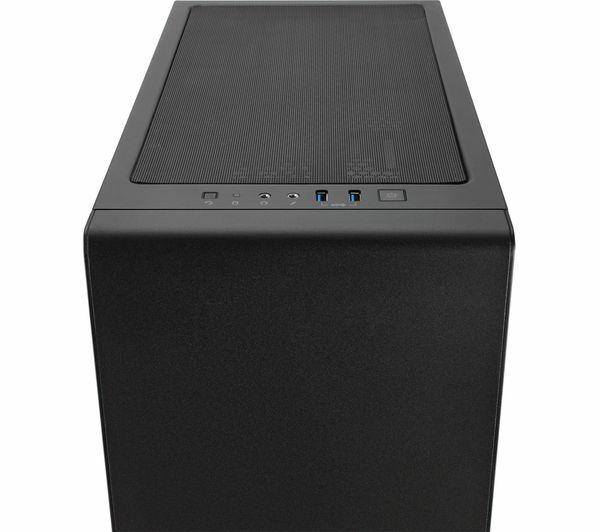 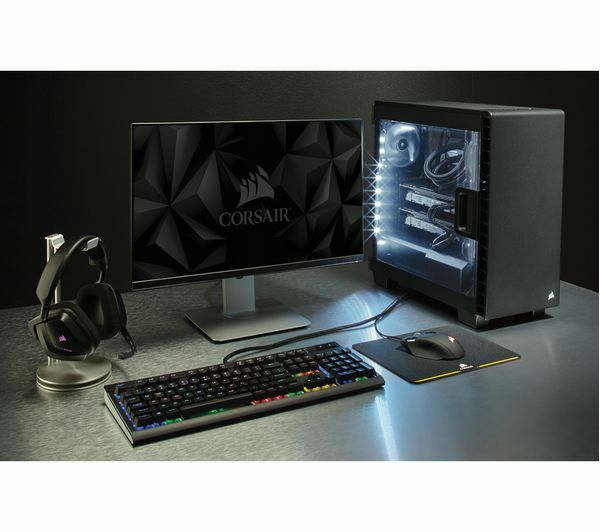 Despite the compact design it has all the space you need to expand and can fit a full motherboard with multiple graphics cards. 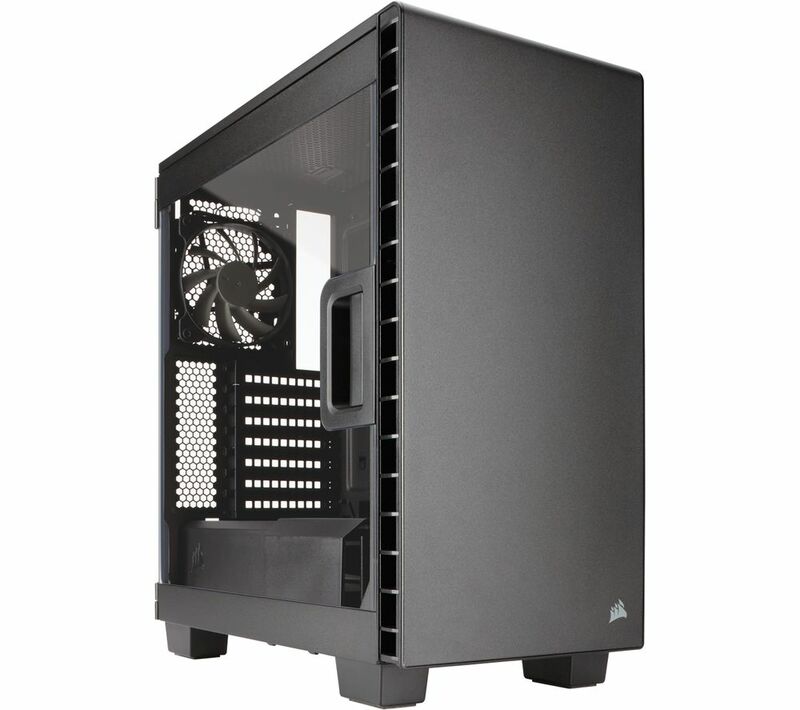 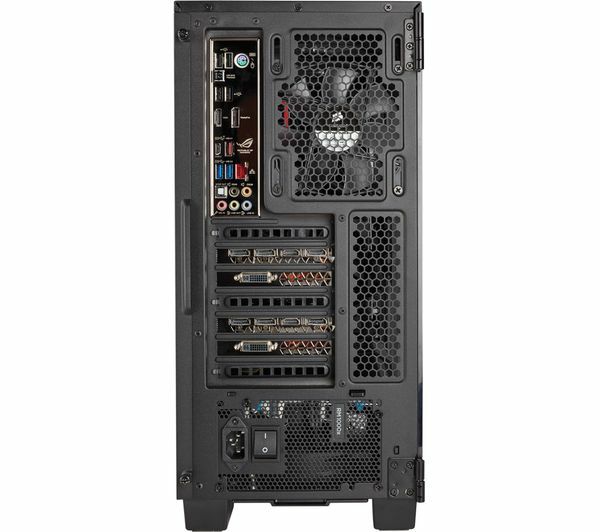 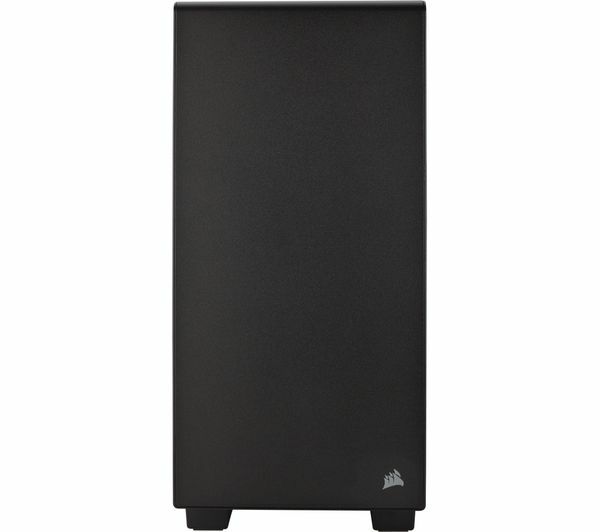 And with three point dust filter access, the Carbide 400 PC Case is easy to keep clean. 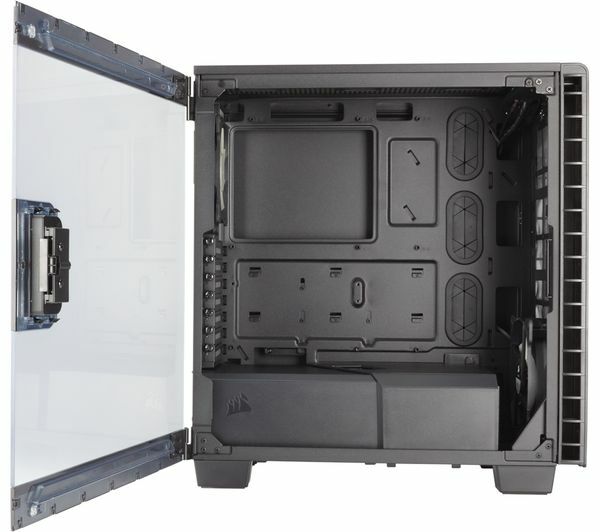 The huge side window puts all of your components on display, so that any lighting or unique features will be on show. 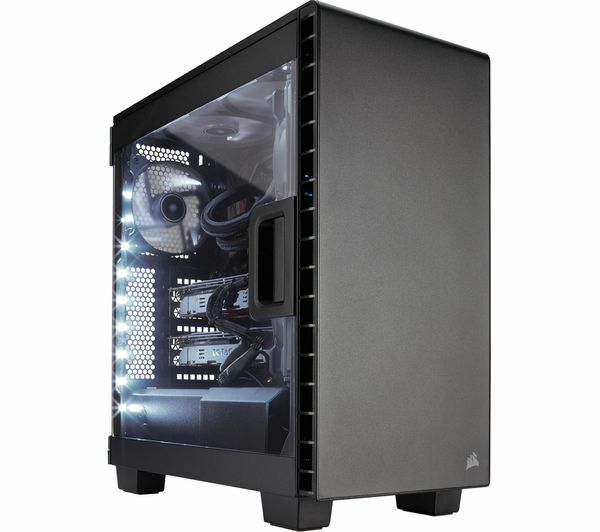 At the bottom of the case is a covered section that lets you tuck away unsightly cables, your PSU and less attractive drives, to keep your display window looking great. 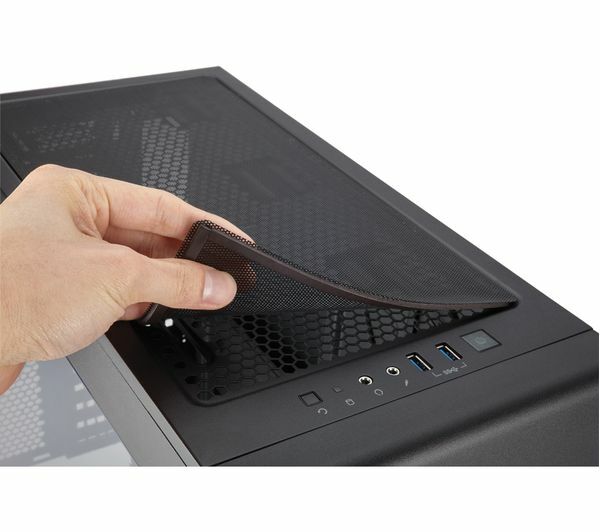 It's easy to adjust and expand your system – the window panel opens with a touch and you can install drives without the need for tools. 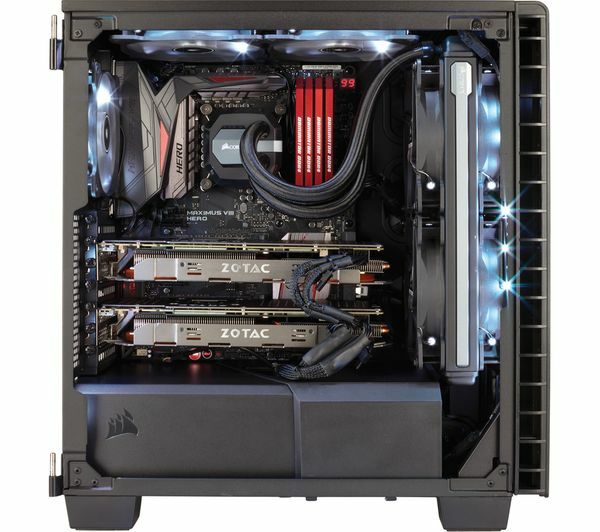 The two included fans don't have drive cages – for a more efficient airflow path to the processor and graphics cards. 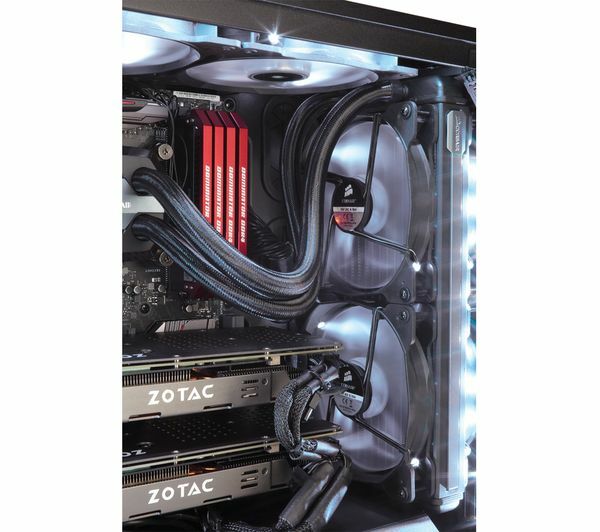 This keeps your hottest components cool and reduces overall noise. 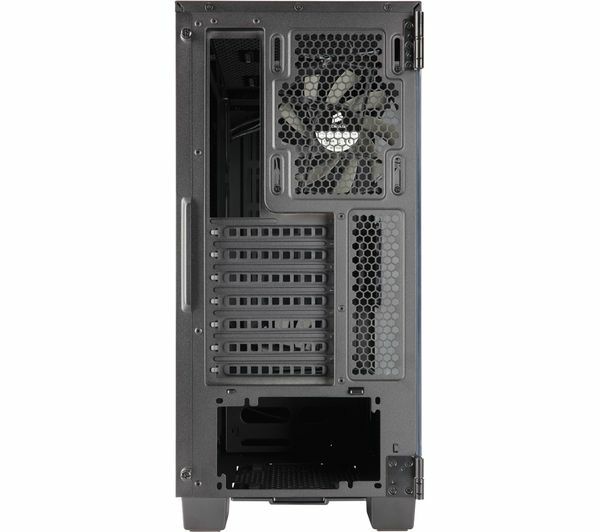 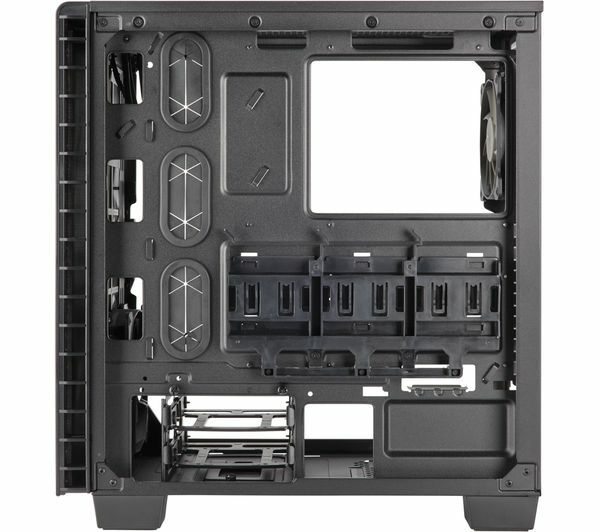 The case also has room for additional radiators, so you can install fans or liquid cooling at the front, rear and top of the Carbide 400 C.